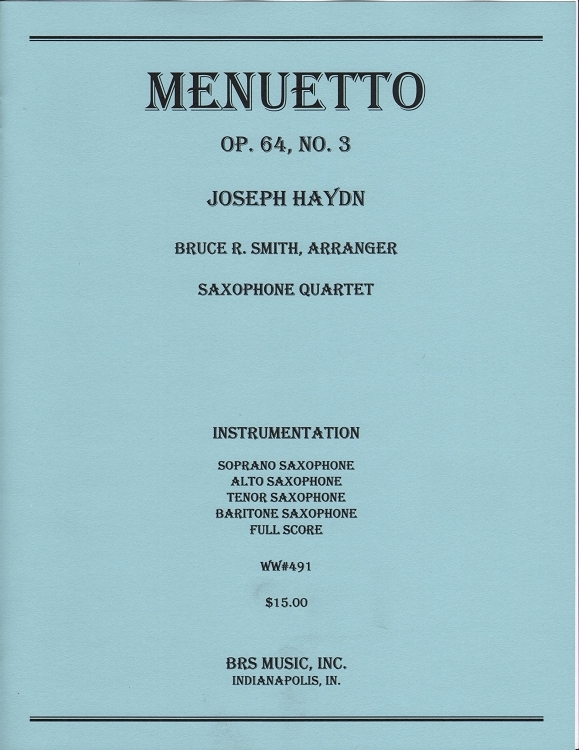 Arranged by Bruce R. Smith for SATB sax quartet. Ideal for contest presentation. Introduce your quartet to the classical style. This performance is by the Indianapolis Saxophone Quartet, Nick Brightman, Cheri Brightman, Kathryn Spangler, and Karl Hartman.